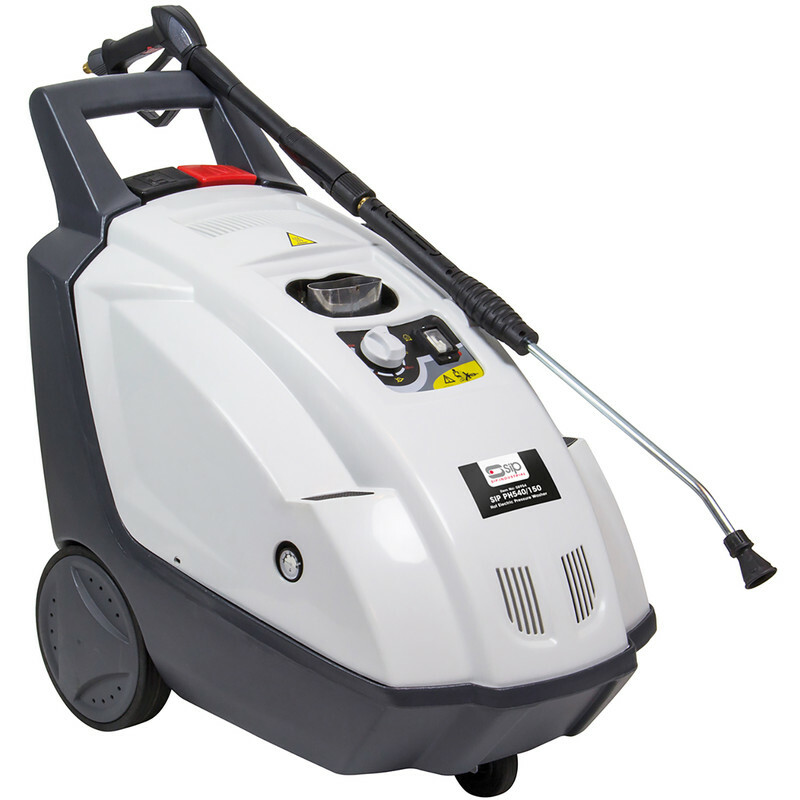 The SIP Tempest PH540/150 Hot Water Pressure Washer has a 2700 motor and has a maximum of 2175psi. The water temperature can reach 90 degrees celsius. Max Output 540L/hr and is fitted with a brass head axial pump. The pressure washer comes with; Steel lance, heavy duty wheels and 8 metre hose with integrated reel.